If you are looking for a great way to read Bible Stories to your kids, then I have a great book for you. 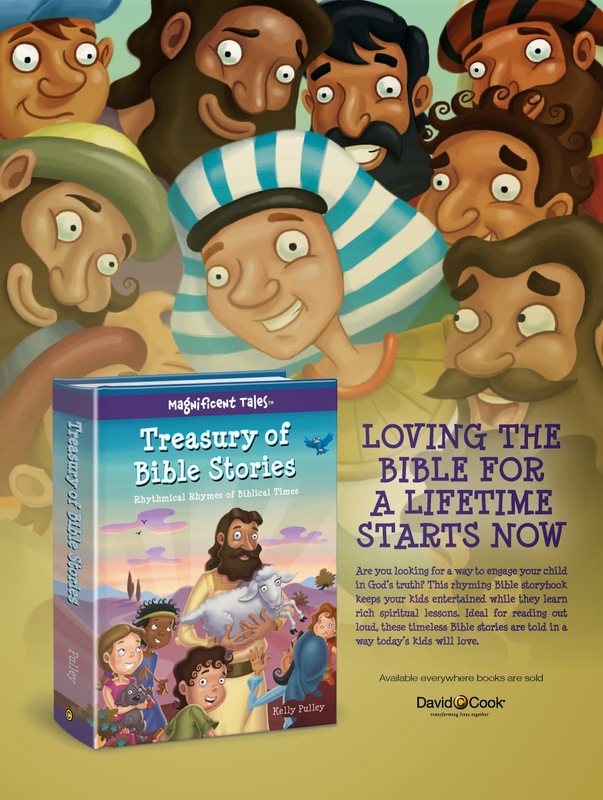 The Treasury Of Bible Stories is bible stories in cute poetry form. I thought they were cute, but the real critic here is Lil Man. And although the first opinion isn't always his true opinion, I was curious to see his reaction. So I handed him the book. As you can see, he really liked the illustrations. The colors were very vibrant, and the illustrations really got his attention. And then I began reading him a story. When I finished he wanted me to read another one. I didn't know how he would really like a book in poetry form. But he really enjoyed it. And I did too. The poems were well written, and I admit it was a great way to bring to life the stories of the Bible. I've read some books that were poetry where the poems felt a little clumsy while trying to tell a story. This was definitely not the case with the Treasury Of Bible Stories. If you'd like to watch the book trailer, click here. Overall, I feel this is a great book to share with your kids, and I'd like to share a copy with you. Enter below by logging into the rafflecopter widget and clicking the various options.